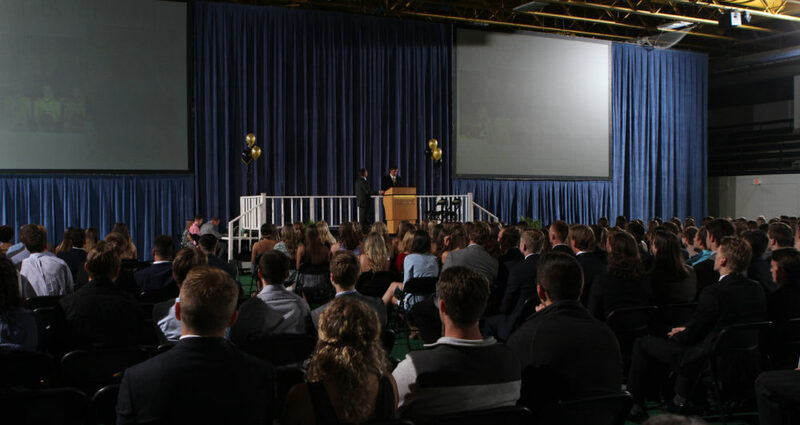 ST. PETER, Minn. – The Gustavus Adolphus College Department of Intercollegiate Athletics is set to host the fourth annual all-athlete, end of the year banquet entitled the “Golden Gusties” on Monday, May 14 in Don Roberts Ice Rink. The Golden Gusties is an awards banquet celebrating the accomplishments of the College’s athletic teams and its student-athletes over the course of the 2017-18 academic year. The banquet will include a social hour with hors d’oeuvres and dessert from 6:15 to 7 p.m. prior to the awards presentation set to begin at 7 p.m. The Golden Gusties will be broadcast live on http://portal.stretchinternet.com/gac/ with @gustieathletics providing live updates on Twitter throughout the banquet. Fans and student-athletes are also encouraged to connect to the event through Twitter, Instagram, and SnapChat using the hashtags #GoGusties and #GoldenGusties.